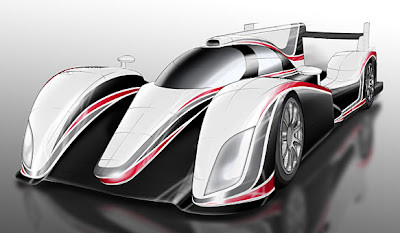 Toyota has confirmed that it will make a fully-fledged return to the Le Mans 24 Hours next year with a petrol hybrid LMP1 car, as predicted by EV News in 2009. The programme will mark Toyota's first full-scale Le Mans bid since its GT-One car of 1998 and '99. Toyota had already rejoined the LMP1 ranks as engine supplier to Rebellion Racing this year. The new car will enter several other World Endurance Championship rounds alongside Le Mans. Its chassis will be constructed by Toyota Motorsport GmbH - formerly the firm's Formula 1 operation - with the engine coming from the Toyota Motor Corporation in Japan. Tadashi Yamashina, Toyota Motor Corporation Senior Managing Officer and TMG chairman, said the hybrid technology element was key to Toyota's return to sportscar racing's top flight. "Toyota Motor Corporation has entered Le Mans before but by using our hybrid technology this time will be a completely new challenge," he said. "We want to write a new page in the history of the Le Mans 24 Hours, as well as in the FIA World Endurance Championship, through our use of hybrid technology. "In addition, we aim to learn from the experience of competing in such a challenging motorsport environment to enhance our production car technology. "Le Mans is a legendary race and I would like to thank the ACO and the FIA for their constructive and positive cooperation over the last few months." A Toyota statement said the new car "is planned to take part in a roll-out around the turn of the year prior to an extensive test schedule in early 2012." Toyota's previous Le Mans programme saw it take pole position and finish second in the 1999 race, before it switched its attention to its forthcoming F1 operation.